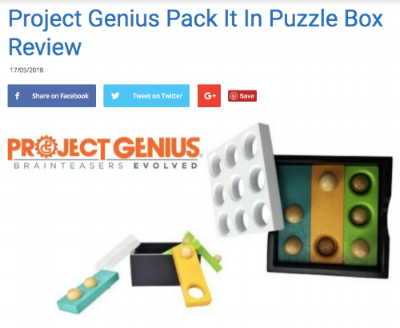 Project Genius showcases a variety of brainteasers, puzzles, and games. We have puzzles for tykes, head scratchers for adults, and games for everyone in between. Check out what people have to say about our products! 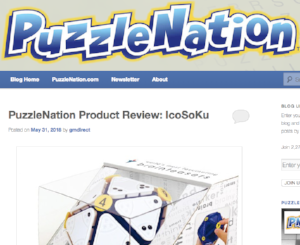 "IcoSoKu combines the deduction of placement puzzles like Minesweeper or Blackout! with the mathematical puzzling of a magic square or a Sudoku puzzle. And by making the puzzle three-dimensional, it places a healthy demand on your puzzly faculties . . . as soon as you’ve placed the final tile and searched the puzzle ball all over, confirming a successful solution… all you want to do is strip away all of the tiles and pegs to test your wits again."